Some may see wedding planning as a serious challenge. Liyan and Brian are a fun couple who took this literally as Brian completed a series of challenges in order to win over his bride. In the end, Brian earned the right to “unlock” his bride by following a set of clues to find their house key frozen in a block of ice. 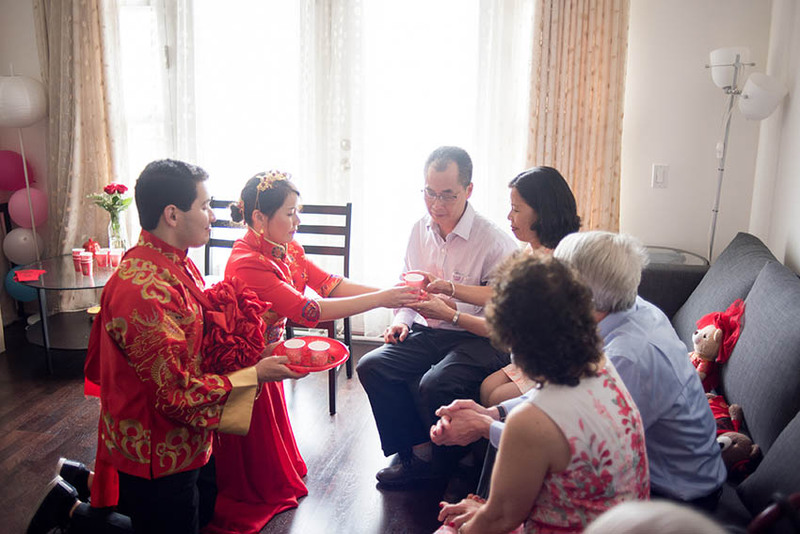 Once the key was found we were able to photograph a traditional Chinese ceremony at the couple’s home in Oakland. The rich fabrics and tapestry of Brian and Liyan’s Chinese outfits were a pleasure to view, as was the intimate gathering of family to celebrate the union of these two. 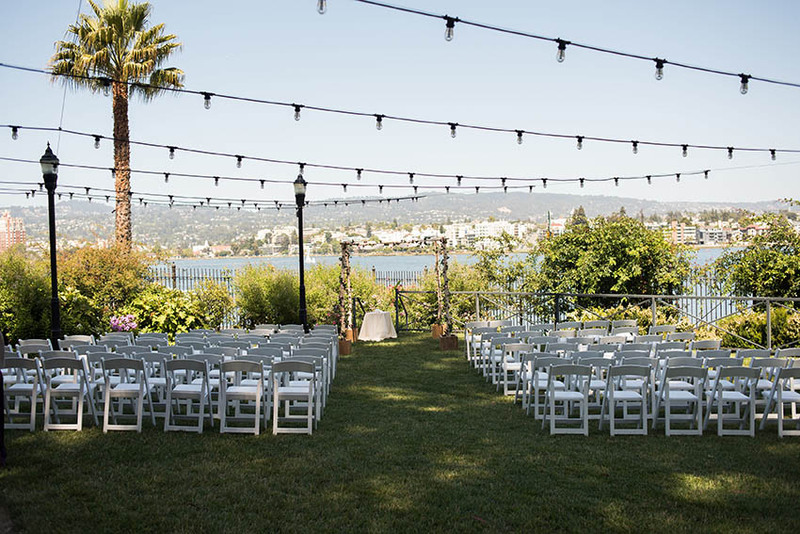 We love a good outdoor ceremony and Liyan and Brian’s Camron-Stanford House Wedding was no exception. 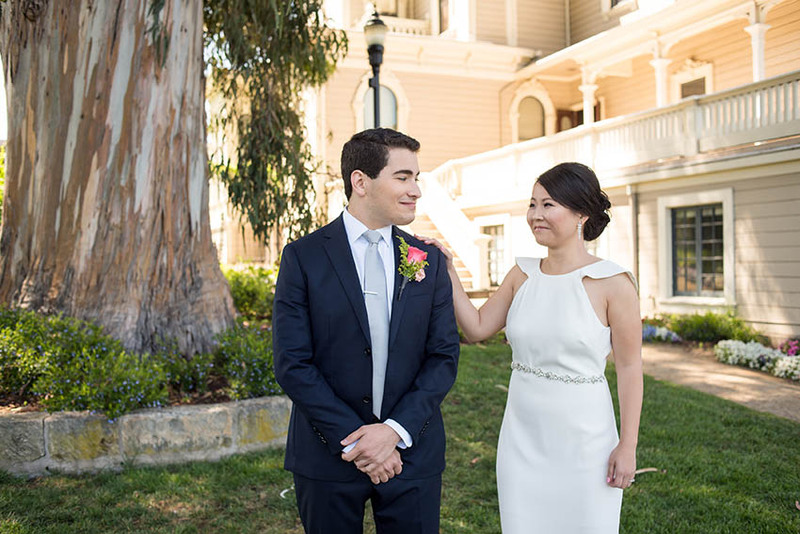 The natural light complemented the sleek and simple elegance of Liyan’s gown. The mix of soft and bright pinks layered through the flowers, the bridesmaid dresses and even the ties of the groomsmen provided a lighthearted and romantic touch to an already beautiful natural view. 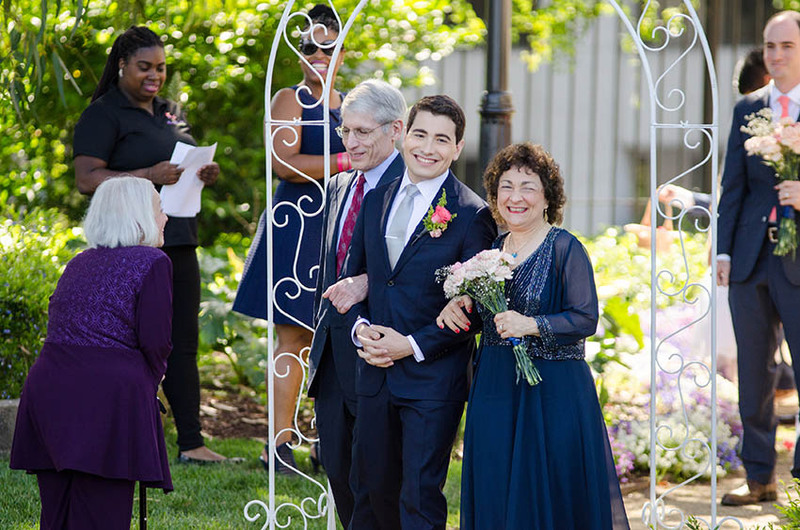 The blend of family traditions with sleek modern touches punctuated the entire event. It was a joy to see the genuine smiles, the laughter and the love between family and friends that were created that evening and it was not a challenge at all to see that Liyan and Brian have a very bright future together.